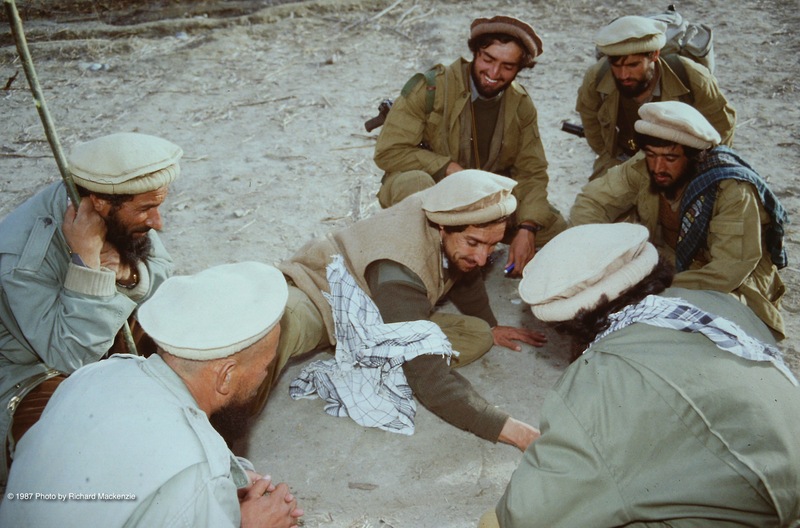 While it has taken me several weeks to get to Northern Afghanistan for my first visit with Ahmad Shah Massoud and his mujahideen, I soon learn that Massoud has been waiting and training his troops for years to be ready for a new offensive he’s about to begin. As he explains his latest strategy, he invites me to witness preparation for what promises to be a major battle in his jihad against the Soviet Union’s occupation of Afghanistan. With a slight smile, I ask him if that would be defined as an Afghan “soon” or a military “soon.” He knows I’ve been living the Afghan interpretation of “soon” for some time now. 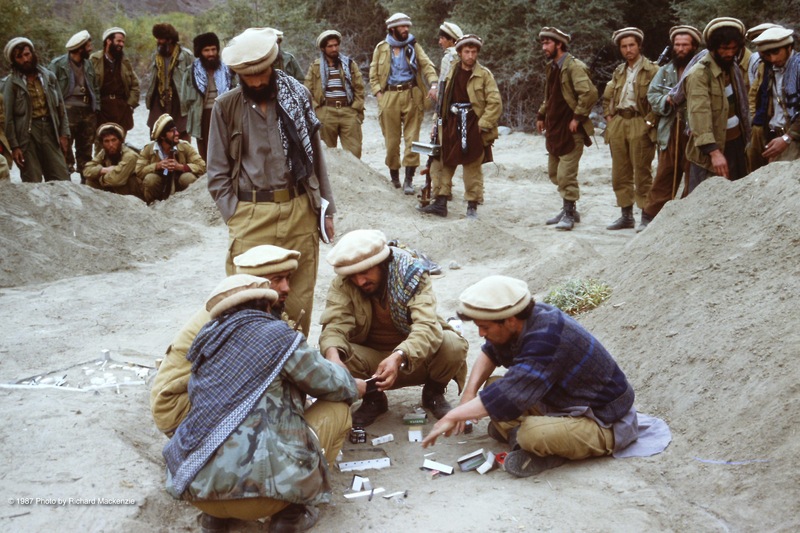 Two days later, a group of mujahideen tell me it’s time to head out again. We trek for several hours down a side valley, finally reaching our destination. The preparations unfolding around me are like nothing I imagined. Hundreds of mujahideen are gathering on a flat stretch of sand on the edge of the Kochka River, an area known as Jangal. Half a dozen of these young men are constructing a huge sand table. One of the mujahideen is holding a sheaf of U.S. satellite photos delineated with a set of imprinted grids. On the ground, another is laying out a massive, matching grid marked with white powder in the dirt. I recognize him immediately from my weeks of waiting. He is Abdullah Astana. He is kind and gentle and a thoughtful person. I am proud to call him a friend. In the era of photographs that must be taken home and developed, I quietly hope the picture I take of him turns out well. It will be 27 years later before I learn whatever happened to him. The aerial views on the printed photos show a river running down a valley formed by towering mountains. In the center of the valley are buildings, what is clearly a military base, a village and some outposts. The photos show an area known as Keran and Minjon. It is a communist stronghold that blocks a much shorter, easier and quicker route to Pakistan, a route that could be completed in just a few days. Opening up this route would make a world of difference for supplies and the civilian population in this region. It has been one of Massoud’s goals for several years. At the center of the sand table, Massoud is paying close attention to every detail. This is the model he will use to explain intricate details of the forthcoming attack on the entire Keran and Minjon complex. There are times when Massoud seems to be micro-managing the process. He crouches down over miniature building and barracks, made out of match boxes, cigarette packs and slips of cardboard. He carefully pats down the approach to one of the buildings to make sure it represents a pathway. On reflection, the sophistication of this exercise and Massoud’s attention to detail come as no great surprise when I consider that his original career goal was to be a civil engineer and that his father was a military officer. 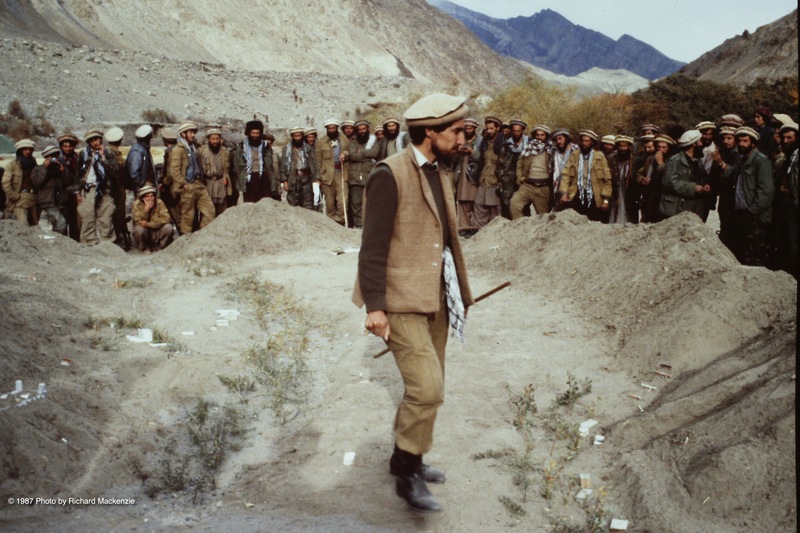 When the model is complete, a couple of hundred mujahideen gather around it while Massoud prowls around the middle, his voice booming in a lecture that lasts more than two hours. He explains every step of the battle to come. And everyone laughs — before turning serious again. What will later become known as the Battle of Keran and Minjon is set to start in the pre-dawn hours of the morning to come, Oct. 28, 1987. There are still last-minute preparations to handle. And there are still prayers to be said. Some of these young men will not make it through the conflict that awaits them. A mujahid, Abdullah Astana. paints intricate details on a sand table to outline battle plans with a large grid drawn in the dirt in Jangal, Northern Afghanistan. Almost three decades later I would learn his fate. Mujahideen use satellite maps of the Keran and Minjon valley to match precise details on the model they are building. 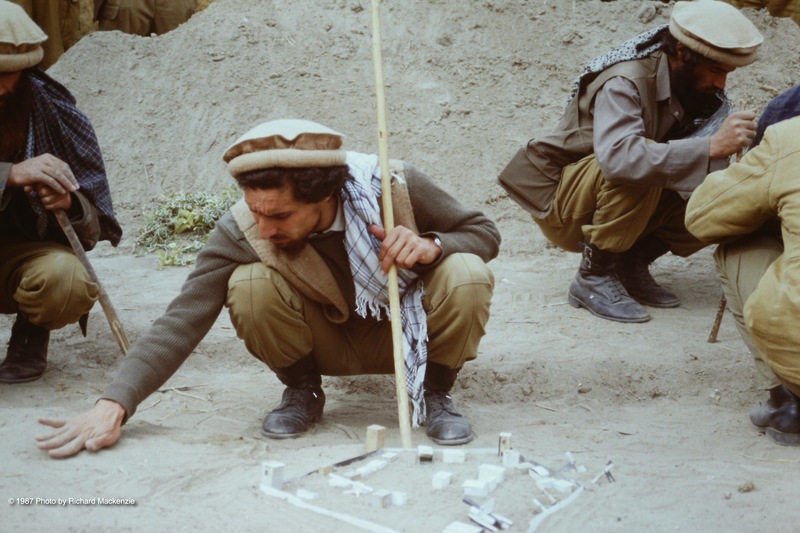 Mujahideen construct models of the buildings they will attack, using match boxes, cigarette packs and slips of cardboard. 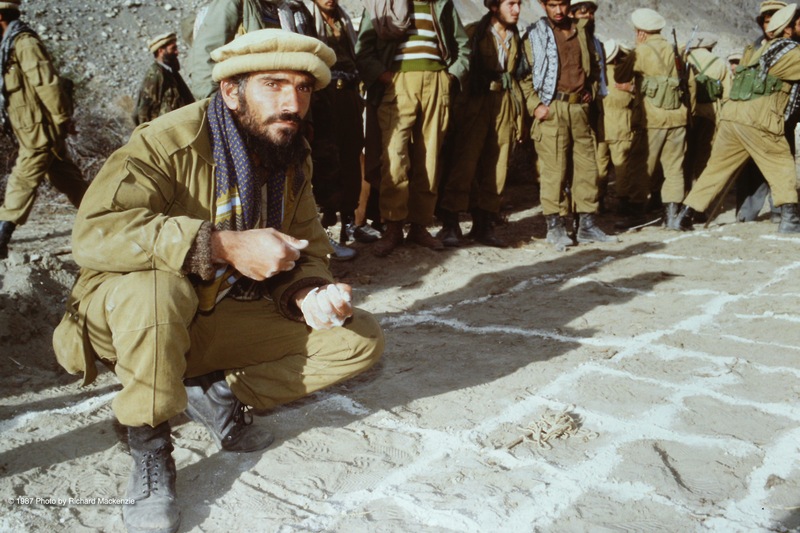 Ahmad Shah Massoud inspects the sand table model, paying attention to every detail to ensure accuracy. 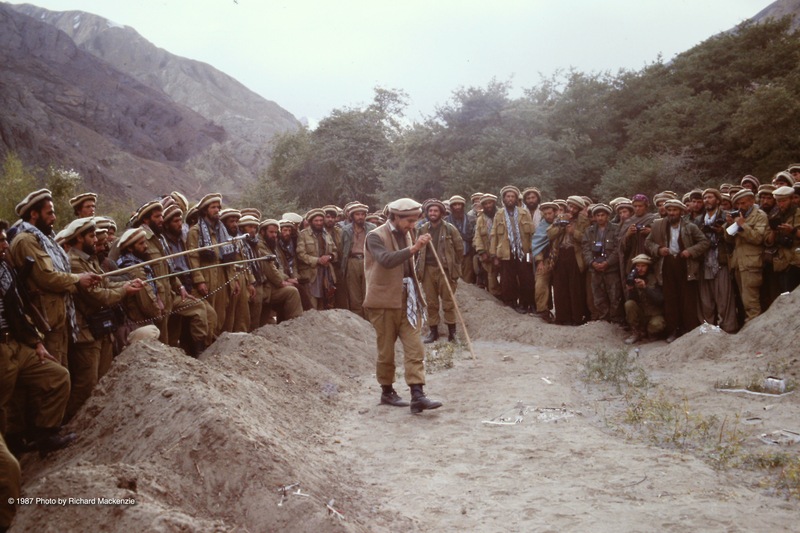 Massoud pauses as he begins a lecture that will last more than two hours, giving each group of mujahideen specific assignments. 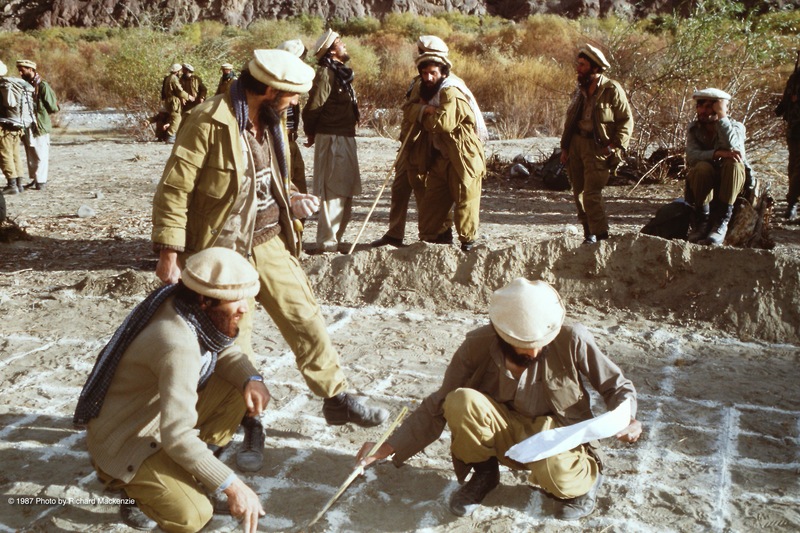 The exact details and accuracy of the sand table model gives Massoud’s mujahideen a great advantage in preparations for Keran and Minjon.